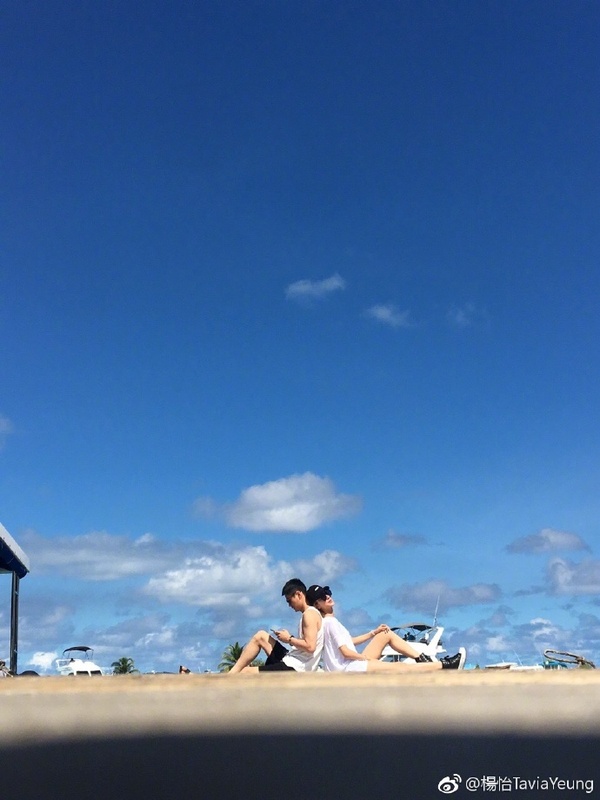 After a whirlwind six months, Tavia Yeung (楊怡) and Him Law (羅仲謙) have finally found time to go on their honeymoon. It’s been a busy year for the couple—after tying the knot in England in March 2016, they were not able to book a time for a Hong Kong celebration until seven months later, in October. After their wedding ceremony, the newlywed delayed their honeymoon due to busy schedules—Tavia had to go on a tour for her play I Have a Date with Spring <我和春天有個約會>, and Him had filming schedules in Mainland China, including the fantasy epic Journey to the West 3 <西遊記：女兒國>. The couple kept in touch with each other via social media, and whenever there is free time, they would find a place to meet up. 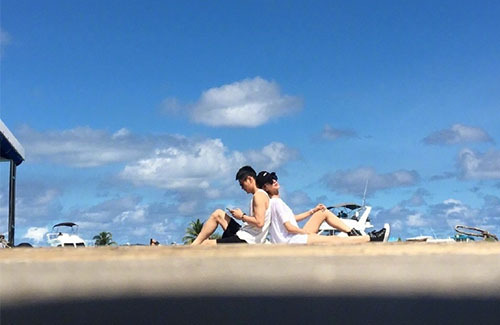 Finally free from schedules, the couple immediately took time off to go on their honeymoon. 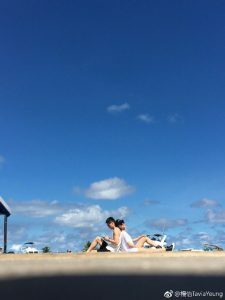 On May 9, Tavia shared a photo of a blue sky, and an hour later, shared a photo of her sitting back-to-back with Him against a sunny backdrop.